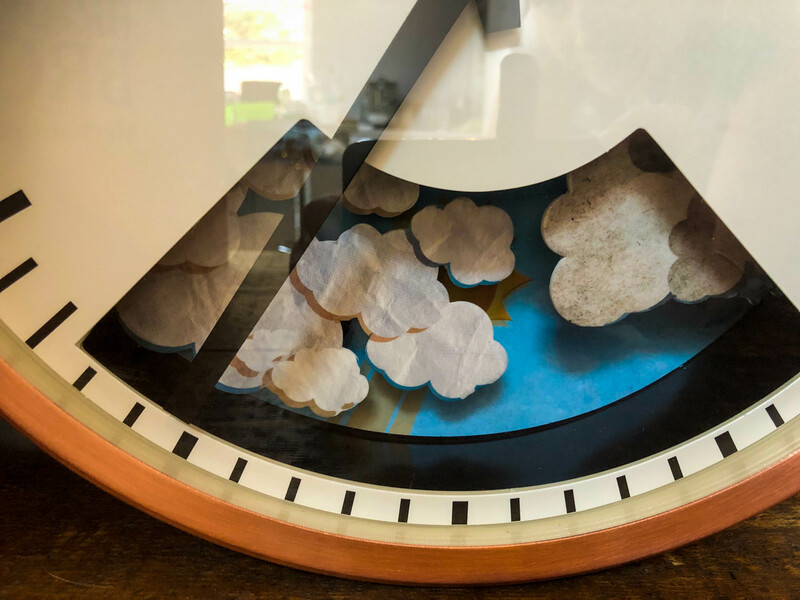 Not just beautiful and useful, they are also barometers and the little hand painted illustrations in the viewing window mean it’s easy for even very young children to see what the weather is doing. The clocks come in a variety of sizes and finishes and there are also some limited edition designs. You can even have the clock face personalised with a special date and names. 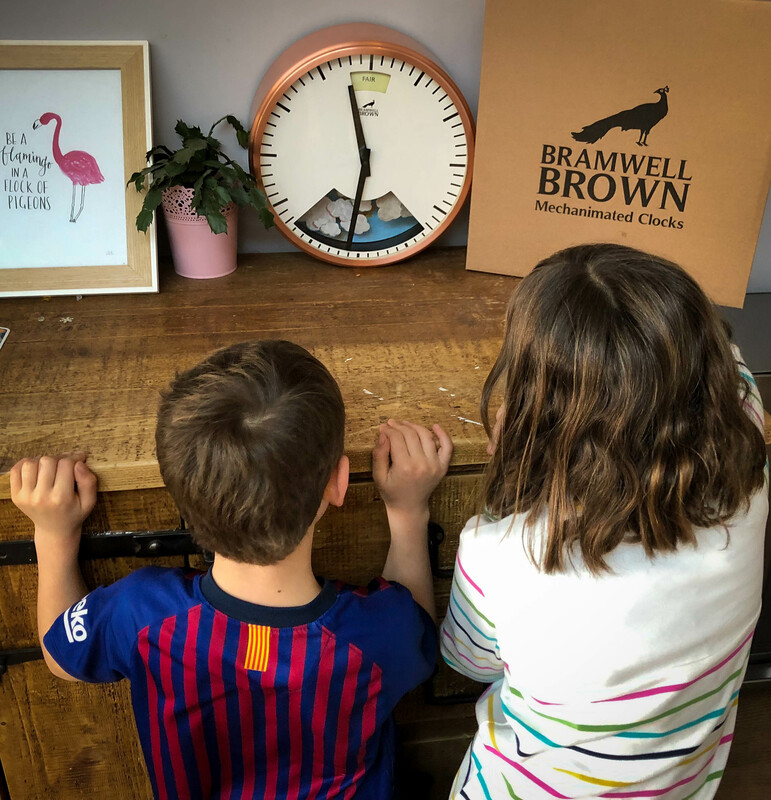 I was really impressed with how Bramwell Brown boxed our clock, it was really well packed and had a special bolt in to ensure the delicate mechanics doesn’t get damaged in transit, there was also a template to ensure that you can hang it easily. 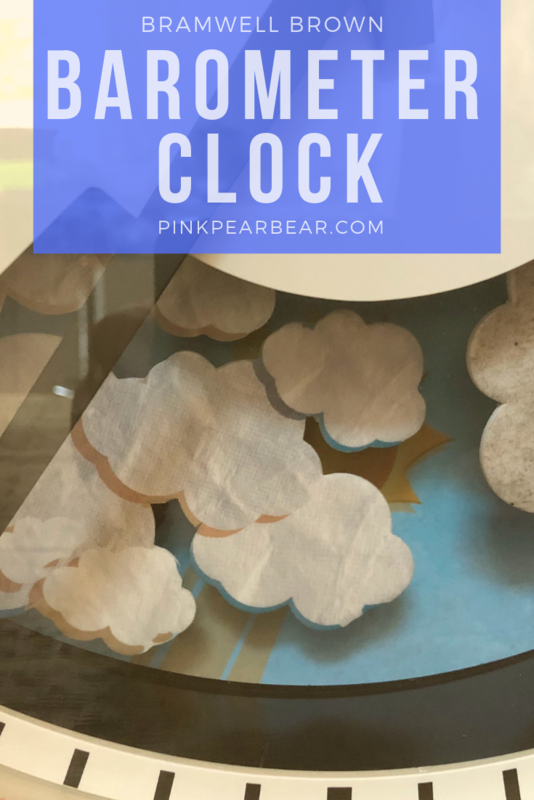 There is no ticking noise which we really like, but it does make a whirring noise when the weather changes which is very fun as the children run to see what’s happening next with the weather. 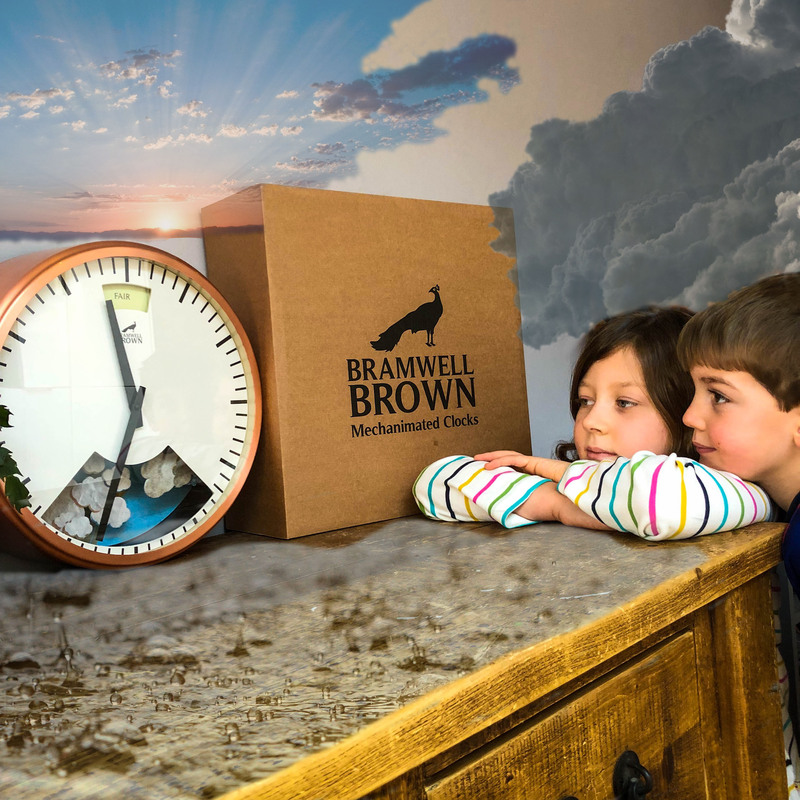 We chose a copper finish to our clock and it’s the standard size, the clocks also come in black, grey, blue and a special edition concrete and there is a larger size. The only thing that might be a downside is the amount of batteries it takes, it takes 8 D-Cell batteries and one smaller one but these come provided and I don’t know how long they last for but we’ve had our clock for over a week now and they haven’t run out yet, I’ll keep you posted!! I think these would make a great present for a loved one or for a special gift like an anniversary or wedding present, especially as you can personalise it. You can also buy gift vouchers.